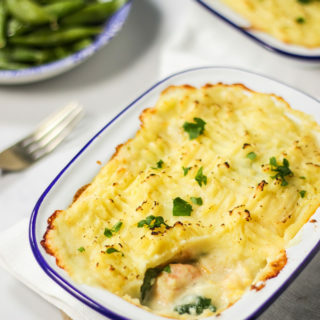 Easy Fish Pie with Cheesy Mash - The Easiest Fish Pie You'll Ever Make! 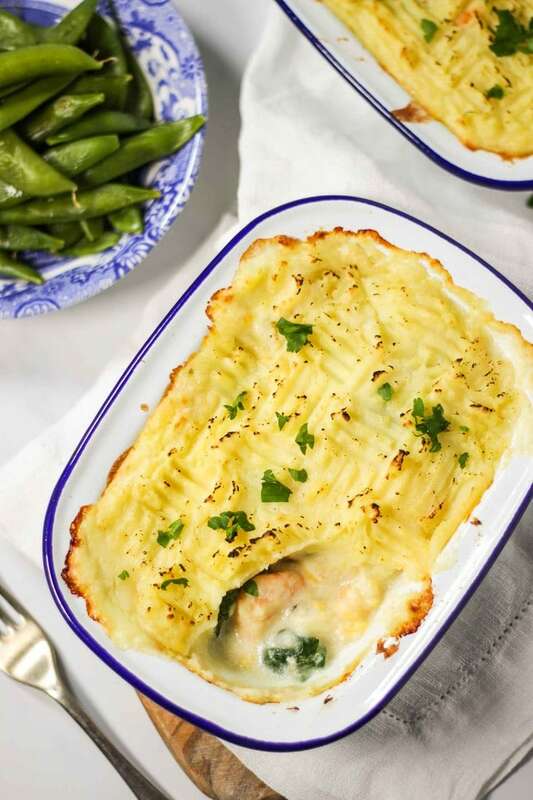 A simple, healthy, Easy Fish Pie recipe. This midweek meal is perfect for families and is gluten free too. The easiest fish pie you’ll ever make! This post is sponsored by Waitrose. As always, thanks for supporting TamingTwins. I feel like a bit of a cheat calling this Easy Fish Pie a recipe. It’s more an assembly job, but you know, sometimes needs must right? I’ve been working in London for a few days last week and this week. When I’m away, all I seem to crave is the comfort food of home. However, the prospect of slaving over the oven when I’m travel tired, is all too much. 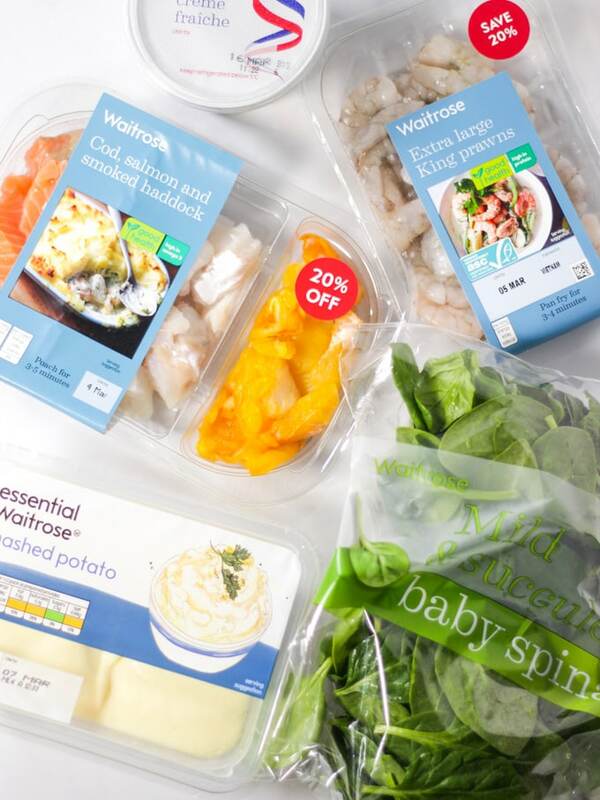 The lovely people at Waitrose & Partners got in touch with me recently to let me know about some new recipe cards they have in store, with Beautifully Simple recipes to inspire quick and healthy midweek meals. Right up my street. This is the first one of these cards I’ve tried and I was super impressed. 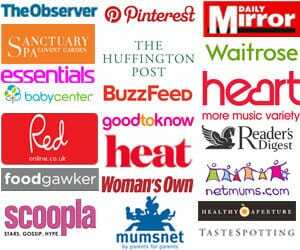 You can find the recipe cards in Waitrose & Partners stores now, and I’ll be sharing a couple more of the recipes here over the coming weeks. It uses simple cheats (like ready made mashed potatoes in this recipe) to make life a little easier. We all WANT to cook from scratch all the time, but honestly, I’m all for making some compromises midweek. How do you make a fish pie from scratch? A normal fish pie uses a basic white sauce, with cooked fish, topped with mashed potato. You can also add parsley, or cheese to the white sauce. This recipe, uses Creme Fraiche in place of the white sauce as a simple ‘hack’ to speed things up. Along with ready made mashed potato. You could obviously used your own mash if you prefer. What vegetables go with fish pie? I served sugar snap peas with this Easy Fish Pie, but I sometimes serve carrots and peas, just simply steamed or boiled. You could also serve the spinach wilted on the side, rather than in the fish pie if you prefer. How do you use Creme Fraiche? In this recipe, half fat Creme Fraiche is used in place of a white sauce. It’s really simple to use, just be careful not to overhead it or it can split and go grainy. Can you freeze fish pie? Yes, you can freeze fish pie. To be honest, this Waitrose recipe is so simple, you probably wouldn’t need to. But any leftovers can be popped into the freezer, covered, when cool. Allow to defrost fully and then reheat before serving. Hope you enjoy this recipe as much as we did. 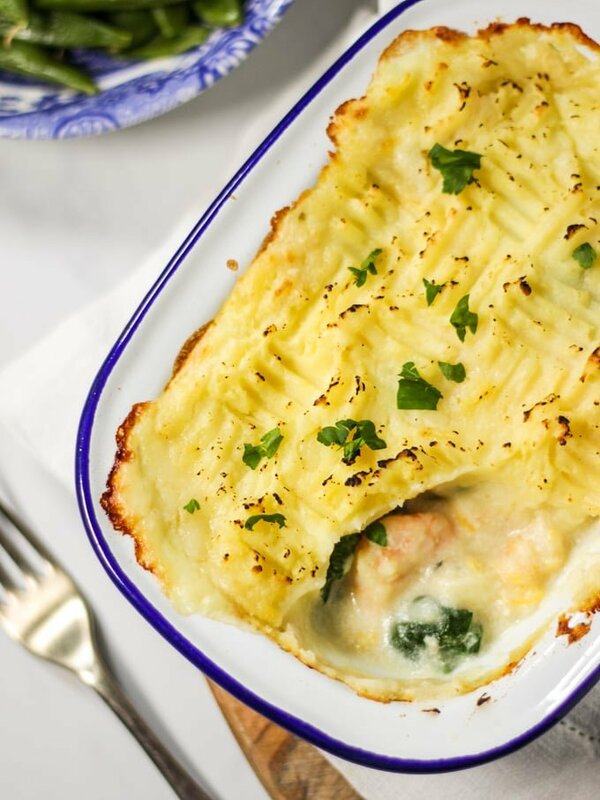 I’d love to know how you got on and what you thought of it if you make this Easy Fish Pie recipe. Please rate the recipe and leave me a comment below if you do. Fancy some more fish recipes? How about my Homemade Fish Fingers or Fresh Salmon Burgers? 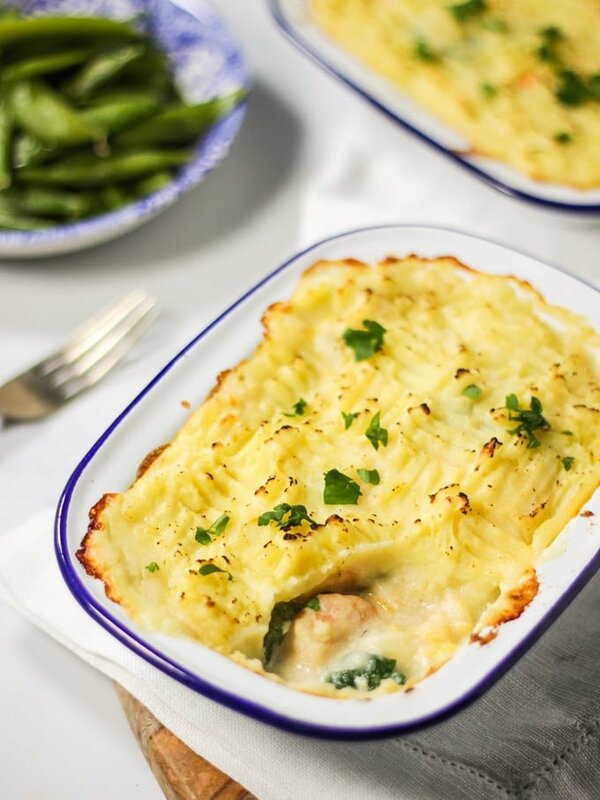 A simple, healthy, Easy Fish Pie recipe. This midweek meal is perfect for families and is gluten free too. The easiest fish pie you'll ever make! Spoon the crème fraîche into a medium saucepan. Stir in 1 tsp mustard then drop in the fish and prawns. 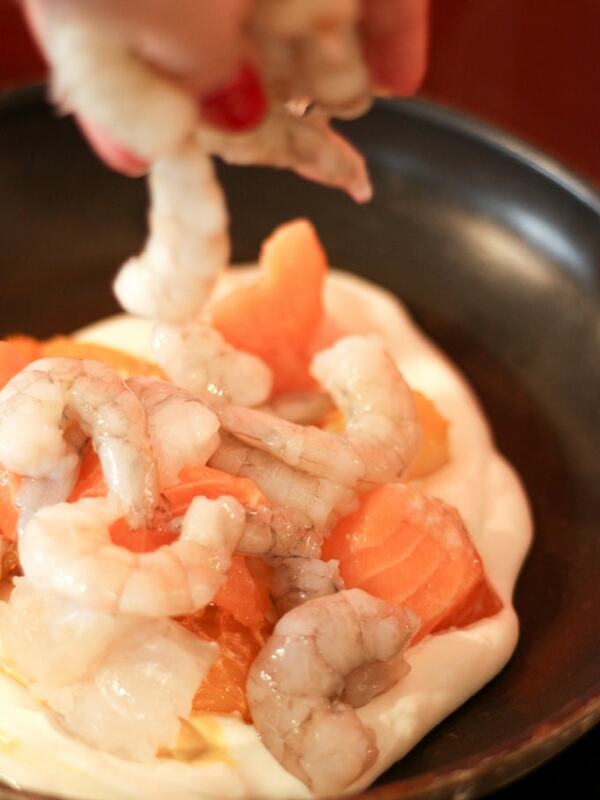 Bring to a simmer, cover and cook gently for 5 minutes or until the fish flakes easily and the prawns are pink and cooked through. Heat the mash following the pack instructions. As it heats, boil the kettle and put the spinach in a colander. Pour boiling water slowly over the spinach to wilt, then cool it under the cold tap for a few moments. Squeeze dry with your hands. Spoon the fish into a small baking dish. Stir the spinach and 25g cheese into the cream sauce, then pour it over the fish. Stir 1 tsp mustard into the mashed potato and spoon then swirl it over the fish. Scatter with the remaining cheese. Grill for 5 minutes, or until the mash is golden and serve with sugar snap peas. 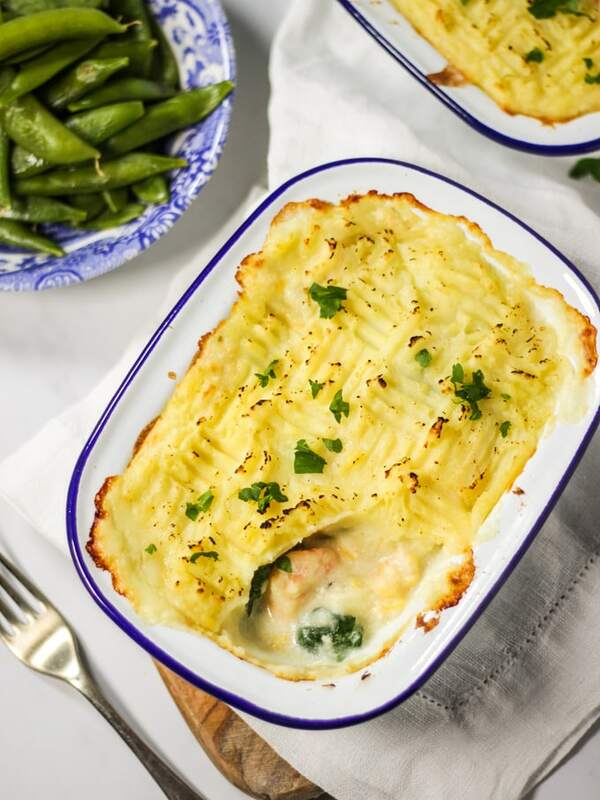 Yum – this looks like a fabulously easy way to make fish pie – thanks for sharing ??? ?